In 2012, participants at the Global Youth Village international summer camp will have the opportunity to work with an accomplished artists-in-residence, like Charles Williams in music during Afternoon Activities. Charles is a vocalist and musician and has taught at the Global Youth Village before, during the 1980’s. He is looking forward to returning this summer. Louisiana-born Williams has won international acclaim since his opera debut at the Festival of Two Worlds in Spoleto, Italy. He has performed in theaters and opera houses, and for radio and television in Munich, Berlin, Hamburg, Zurich and Vienna. He made his Metropolitan Opera debut as Sportin’ Life in “Porgy and Bess.” He has also performed at Carnegie Hall, The Barns at Wolf Trap, The Smithsonian, and the Kennedy Center. In the summer of 2003 he toured Europe as a cast member and vocal coach of “The Temptation of St. Anthony” directed by Robert Wilson with music and book by Bernice Johnson Reagon. The production performed in 2005 at the Paris Opera (l’Opera Garnier) and festivals in Melbourne and Warsaw. For more than a decade, he has partnered with global-jazz percussionist Tom Teasley to form the duo Word-Beat which has performed in the U.S., Europe and the Middle East. The duo has released two CDs, “Poetry, Prose, Percussion and Song” and “The Soul Dances.” Charles’s solo CD, “Talkin’ About,” features spirituals and selections from the American musical theater. 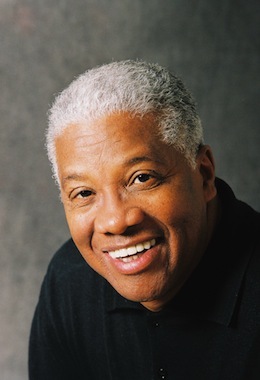 Charles served as vocal consultant for the Grammy award winning group Sweet Honey In The Rock and was a vocal panelist for the National Foundation for Advancement in the Arts. He teaches voice at the Levine School of Music. He has taught vocal and musical theater workshops in Salzburg, Austria, and at the University of the Arts in Berlin. In 2009, under the auspices of the U.S. State Department Word-Beat performed and conducted music workshops in Bahrain and Saudi Arabia. The duo also performed and gave workshops in collaboration with local musicians in East and West Jerusalem. Since the spring of 2010, Charles has collaborated with jazz guitarist Eric Ulreich to present musical treasures from the Great American Songbook in a cabaret setting. Students come from the entire Atlantic coast to study with Charles in his ever-growing home studio in Alexandria, Virginia. He also travels the country to give master classes and conduct vocal workshops. For almost a decade Charles has taught voice classes during the summer at the Summer Acoustic Music Week (SAMW) at Geneva Point Center in New Hampshire. The week is sponsored by WUMB, University of Massachusetts Boston and at Vocal Week at Augusta Heritage Center at Davis and Elkins College, Elkins, West Virginia.